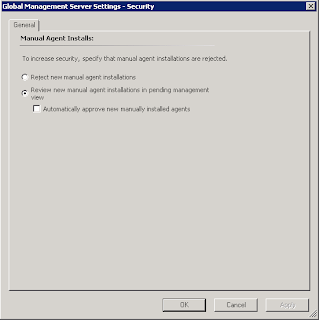 In Part 1 and Part 2 of this series, I have explained how to configure your SCOM servers to accept manual agent installations and also how to manually install these agents onto your untrusted servers and clients. In this part of the series, I will demonstrate what is needed to create a custom Certificate Template that will be used to create the Certificate Request to the Public 3rd Party Certificate Authority (this Certificate Template could also be used for an Internal CA too) and I will also go through the process of bringing the newly issued certificate into SCOM. Change my text in RED ITALICS to your actual computer name making sure that you specify the ‘Full Computer Name’ of your server or computer. This name could be simply a NETBIOS name or an FQDN. Now, you need to use the command prompt to browse to the ‘MOMCertImport.exe’ utility on the SCOM installation media (make sure you browse to the correct architecture folder i.e. AMD64 or i386) and using the /subjectname switch you need to specify the certificate name exactly as you see it (substituting my.fullcomputername.com in the example below) when you open up the ‘Certificates’ MMC snapin and select the ‘Local Computer’ option. From the 'Local Computer Certificates' MMC, you need to browse to the ‘Personal\Certificates’ subfolder to see (and make a note of) the full name of the certificate that you would have imported using the certreq utility earlier. 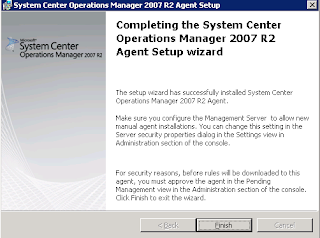 Make sure that this process is repeated on all SCOM RMS/MS and untrusted server and clients. 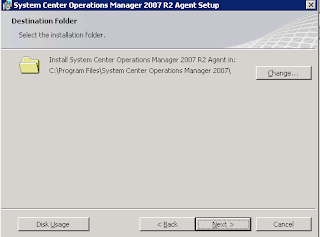 Once the above commands have been carried out on all SCOM and untrusted servers and clients, it is a good idea to restart the Health Service on the untrusted clients first and then if needed, you will need to restart the Health Service on the SCOM RMS/MS servers too. 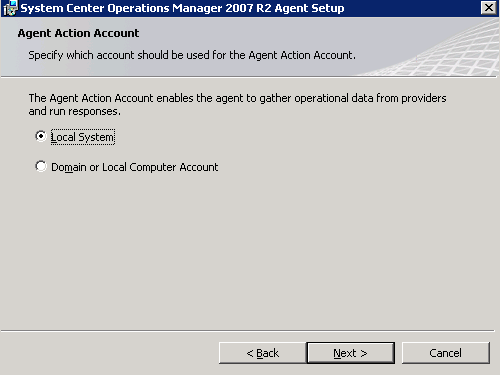 Restarting the Health Service will then kick-start the Agent discovery and authentication and if all is configured the way it should be, then you will see your untrusted server show up in the 'Pending Management' section of the 'Administration' tab within the SCOM Console Wunderbar. From here and once you see your server listed, simply click on the 'Approve' option in the 'Actions' window on the right hand side to complete the final step to bring your untrusted server into your SCOM monitoring environment. 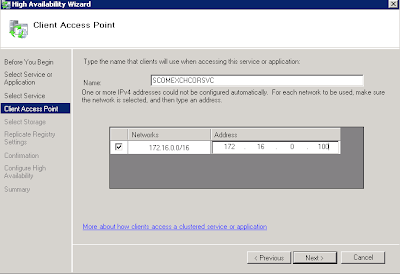 In Part 1 of this series, I explained the basic options for bringing untrusted servers and clients into your SCOM monitoring environment and outlined a High Level Overview of the process required to use a 3rd Party Public Certificate Authority for SCOM authentication. In this next window, it is VERY important that you get the information here correct. 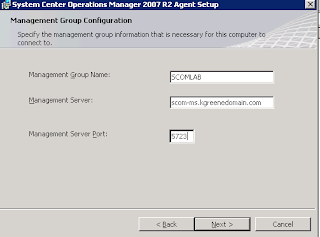 You must input in your SCOM Management Group Name, Management Server name and Management Server Port number. 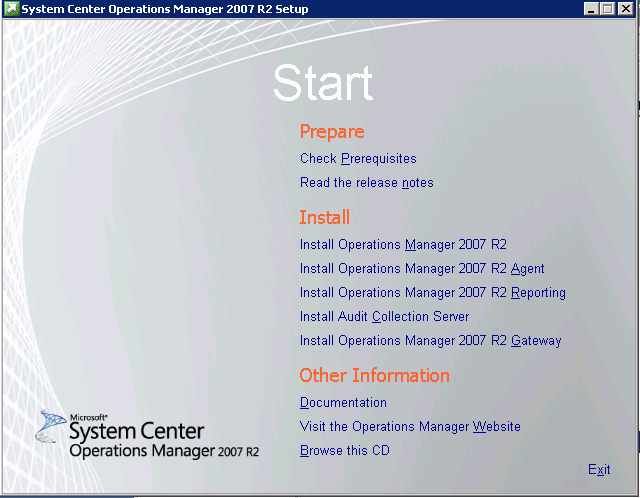 The key here is to ensure that you input in the FQDN of your Management Server and not just the NETBIOS name. 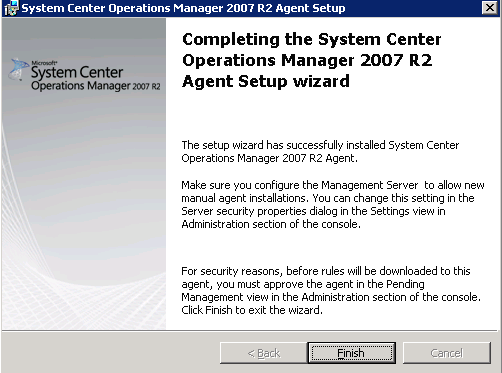 Finally, when the wizard is completed, click on 'Finish' to close the Agent installation. 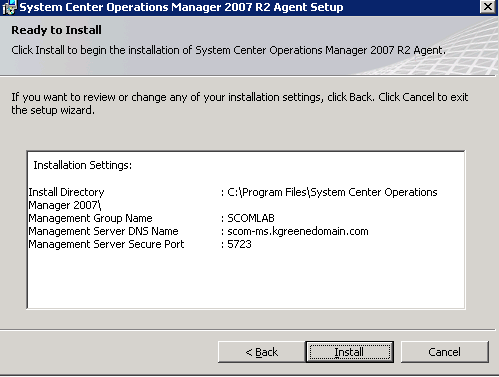 This completes the manual SCOM agent installation onto your DMZ / untrusted based servers and clients. In part 3 of this series, I will demonstrate how to build a certificate template to create and approve the Public 3rd Party certificate using the 'CertReq.exe' utility and to then bring the new agent into your SCOM Management Console. 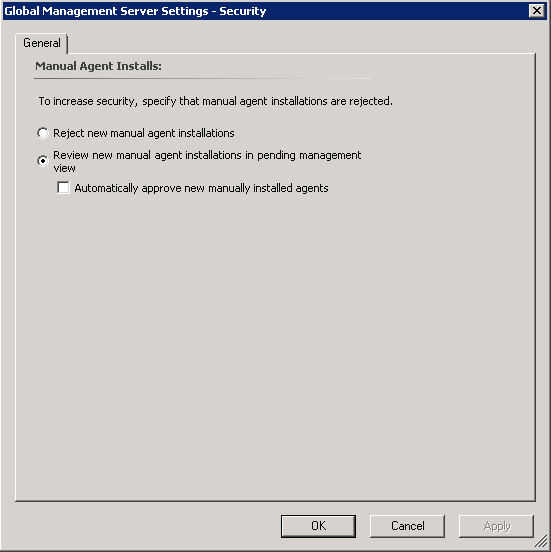 From time to time with SCOM, you will need to enable monitoring of servers and clients that are outside of the normal boundaries of your Active Directory environment. These servers and clients may be in your DMZ as workgroup machines, or maybe you have a number of completely different Active Directory domains and forests that have no relation with each other yet need to be centrally monitored by your SCOM implementation. 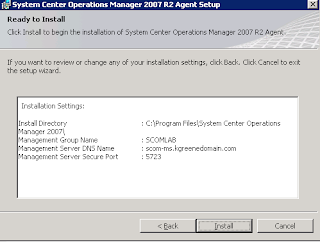 If you have a large number of servers and clients in an untrusted domain to the SCOM domain, then you would most definitely want to install a SCOM gateway server into that domain and have this as the central point of contact with your main SCOM RMS and MS servers. 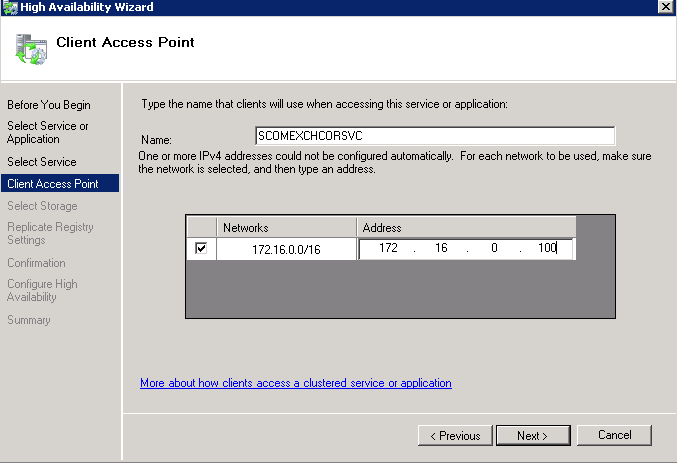 The SCOM Gateway Server uses certificate authentication to authenticate with the SCOM RMS / MS servers and certificate configuration has to only be carried out once between the SCOM RMS /MS and SCOM Gateway devices. 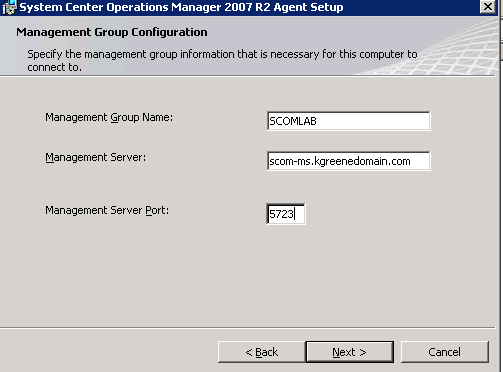 The SCOM Gateway Server would then distribute the SCOM agents to each client in the untrusted domain / workgroup and pass the monitoring information over to the RMS and MS in the trusted domain. 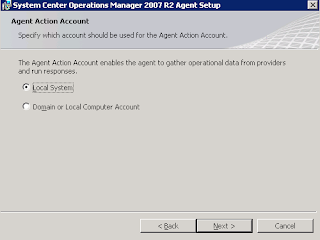 No matter whether you decide to use a SCOM Gateway Server or just install the SCOM agents manually onto your DMZ based servers and clients, you will need to configure Certificate Authentication with either an internal Certificate Authority (such as an Active Directory CA) or if that isn't an option (or you're brave enough to attempt it! ), then you could also use a 3rd Party Certificate Authority such as Thawte or Veritas as an example. 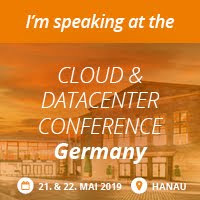 This short series of blog posts have come about from the necessity of a particular project I was working on recently that had procedures in place to only use Public Certificates on all of their servers. I managed to get Public Certificates working with this client's DMZ machines using information from a number of different blog posts, forums and also some thrown in knowledge of my own based around public certificates. I felt that although the information is available if you look on the internet, I couldn't find one single source of information that took me from step to step with this process, so therefore I decided to blog about it myself to save someone else the hassle!! If you are using an internal Certificate Authority for issuing your certificates to your SCOM environment, read my blog posts on internal CA's with SCOM here for more information. In part 2 and part 3 of this series, I will go into more granular detail on this process with some screenshots included too! Microsoft have just released (well 2 days ago but I didn't get around to blogging until today about it! 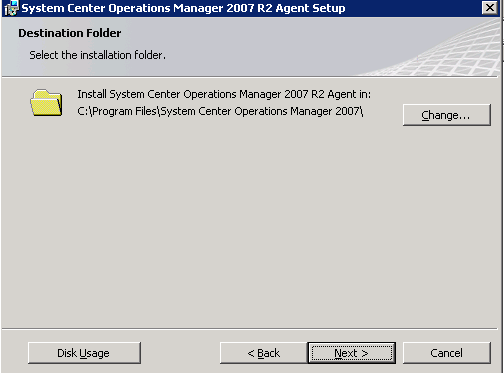 ), the updated Microsoft Exchange 2010 Management Pack which includes support for Microsoft Exchange 2010 Service Pack 1 and the associated roll-ups that SP1 comes with. There are quite a few significant changes to this Management Pack that makes it even better than the original Exchange 2010 MP that was released last year. Capacity planning and performance reports - New reports dig deep into the performance of individual servers and provide detailed information about how much capacity is used in each site. SMTP and remote PowerShell availability report - The management pack now includes two new availability reports for SMTP client connections and management end points. New Test-SMTPConnectivity synthetic transaction - In addition to the inbound mail connectivity tasks for protocols such as Outlook Web App, Outlook, IMAP, POP, and Exchange ActiveSync, the Management Pack now includes SMTP-connectivity monitoring for outbound mail from IMAP and POP clients. New Test-ECPConnectivity view - Views for the Exchange Control Panel test task are now included in the monitoring tree. Cross-premises mail flow monitoring and reporting - The Management Pack includes new mail flow monitoring and reporting capabilities for customers who use our hosted service. Improved Content Indexing and Mailbox Disk Space monitoring - New scripts have been created to better monitor context indexing and mailbox disk space. These new scripts enable automatic repair of indexes and more accurately report of disk space issues. 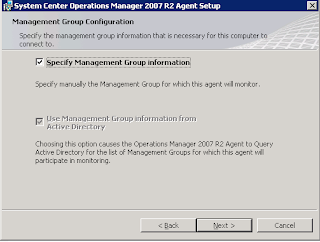 The ability to disable Automatic Alert Resolution in environments that include OpsMgr connectors - When you disable Automatic Alert Resolution, the Correlation Engine won't automatically resolve alerts. This lets you use your support ticketing system to manage your environment. Several other updates and improvements were also added to this version of the Management Pack, including the following. As always, don't forget to read the MP guide fully before you install the MP into your live environment and implement any recommendations that the guide gives around configuration and alert tuning. In part 1 of this guide, I explained what the Microsoft Exchange Monitoring Correlation Service was and in this part, I will demonstrate what is needed to make this service Highly Available. 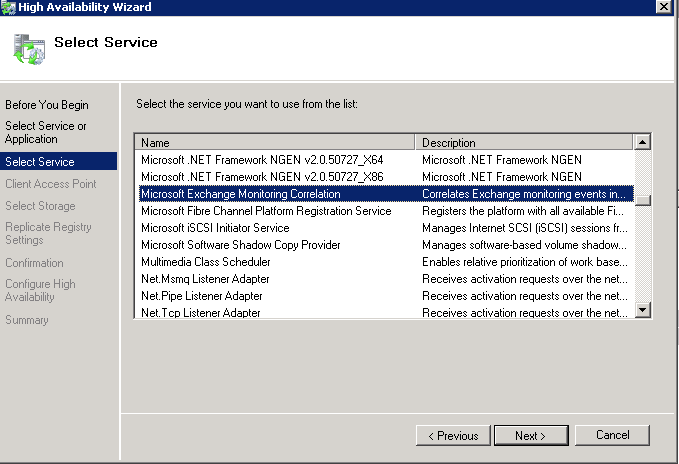 Don’t bother selecting any registry settings to transfer over as the service is already installed on the other nodes. Click on ‘Next’ until you come to the review page, then click on ‘Finish’ to complete the service clustering. 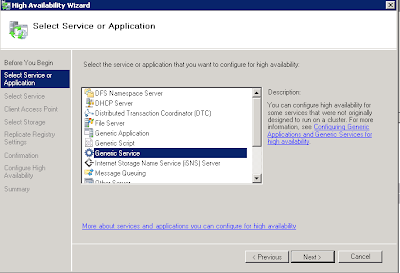 Test service cluster failover by moving the service between nodes using ‘Failover Cluster Manager’ and keep an eye on the service state from the ‘services.msc’ snapin as this should go from started to stopped on the current node, then from stopped to started on the new node you have chosen to move the service to. 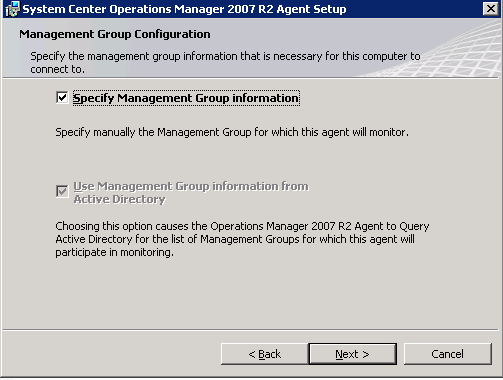 This completes your Microsoft Exchange Server 2010 Monitoring Correlation Service clustering. 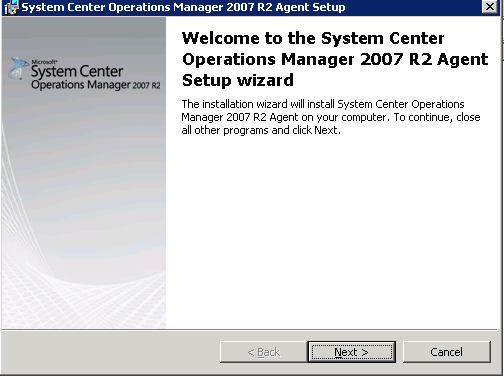 It's not often I get to install SCOM into RMS clusters and this week was no exception. 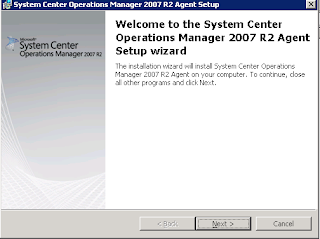 I'm finishing off a project that involves the installation of a SCOM 2007 R2 Highly Available environment configured as an RMS cluster on an SQL 2008 R2 cluster. 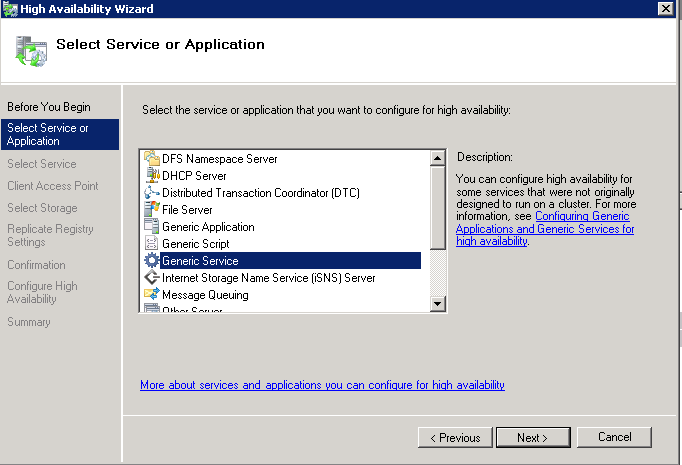 The part of this project I am working on this week is based around a new Highly Available Exchange 2010 messaging environment and bringing this into the existing SCOM infrastructure. 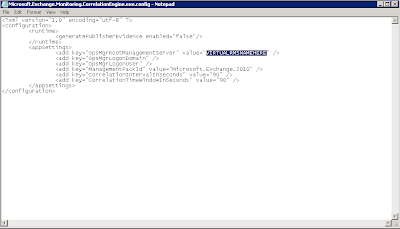 Now, for those of you that are used to installing the Exchange 2010 Management Pack, you will be familiar with a new method that Microsoft have been pursuing in relation to management packs, and this is based around the new 'Microsoft Exchange Monitoring Correlation Service'. 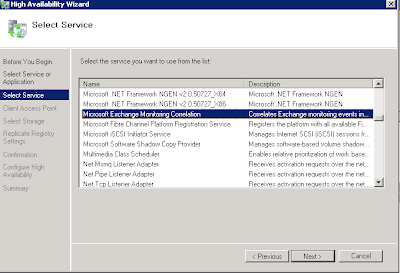 The 'Microsoft Exchange Monitoring Correlation Service' is basically a noise reduction utility that sits between the Exchange 2010 and SCOM environments and filters out unnecessary alerts before you even need to start thinking about tuning! 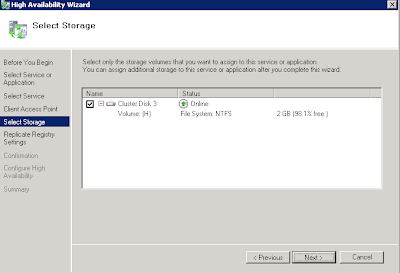 It's based on nearly 2 years of in-house deployment from the MSIT team on their own SCOM and Exchange 2010 environment. 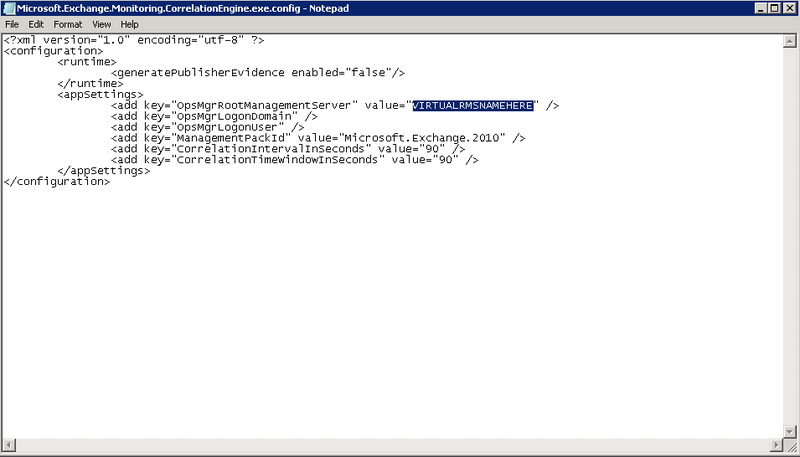 The Microsoft Exchange Monitoring Correlation Service installs itself as a standard Windows Service on the SCOM RMS and is viewable from within the 'services.msc' snap-in. 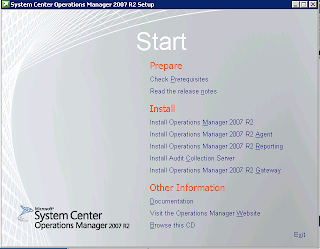 When I install a Management Pack into SCOM, no matter how often I have installed the same MP into other SCOM environments, I will always read the MP guide that accompanies the Management Pack as it can contain valuable information on configuration and initial tuning settings that need to be deployed to get the most out of your new MP. 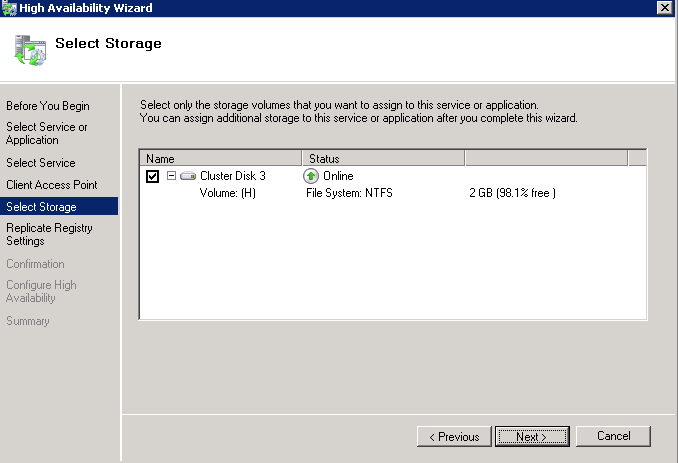 When I started to read through the Exchange 2010 MP guide, I was looking specifically for instructions on clustering the Correlation Service as there's no point in having a HA environment for your RMS and SQL services and then not having the main noise reduction service for your Exchange 2010 MP not failing over to your other cluster nodes in the case of an emergency. The Exchange 2010 MP guide unfortunately has no information on clustering this service at all and after searching the web for some additional info, all I found was some references to it being added to the next version of the Exchange 2010 MP guide - whenever that gets released!! 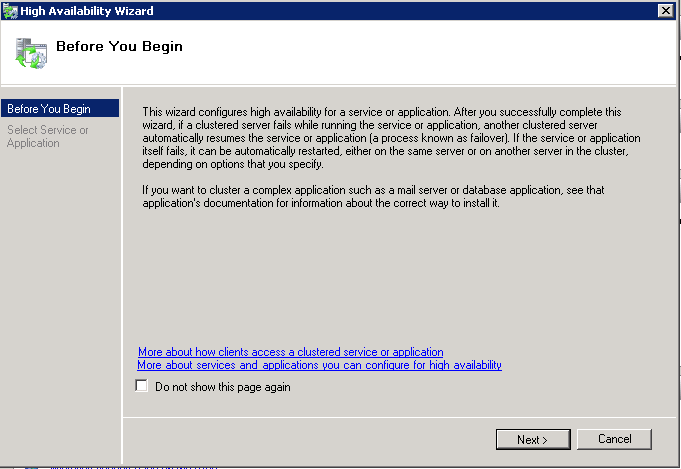 I set about clustering this service using the Failover Clustering Wizard that is built into Windows Server 2008 R2 and decided to blog about it for anyone else who finds that the Microsoft documentation falls just short of this type of information. 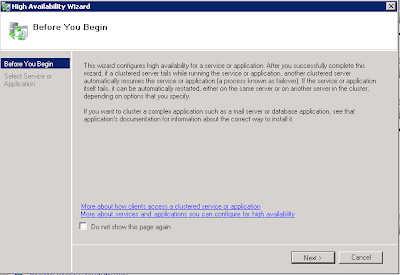 In part 2 of this short guide, I will demonstrate how to cluster this service and make it Highly Available within your SCOM environment.